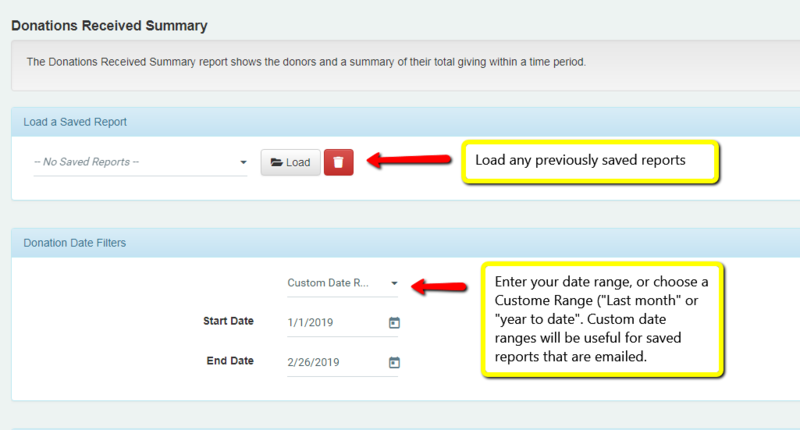 The Donations Received Summary report is an excellent report for Summarizing totals of what donations have come up during a specific time-period, or for a specific filter (for an event listed as an appeal code, or all donations that went in to a particular fund). View the Report on-screen, Export to PDF or Export to Excel. Enter your Date Range or choose a “Custom” date range. Filter on specific Contact Types to be included. 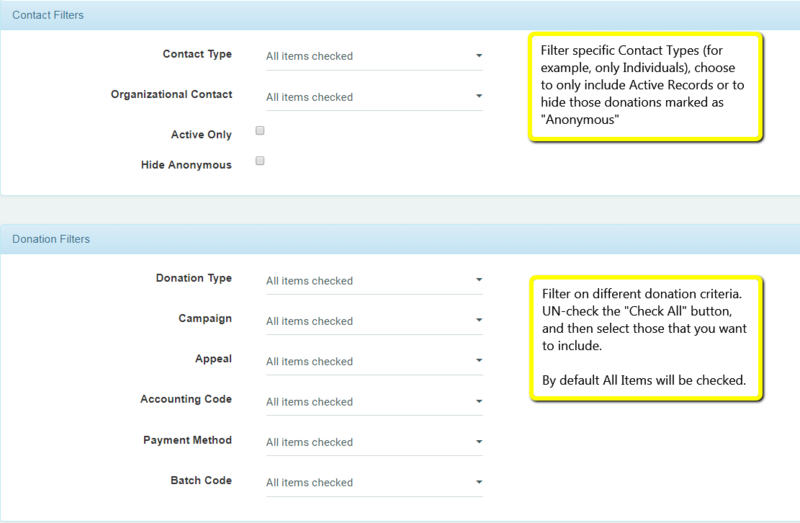 Filter on Donation criteria to include. 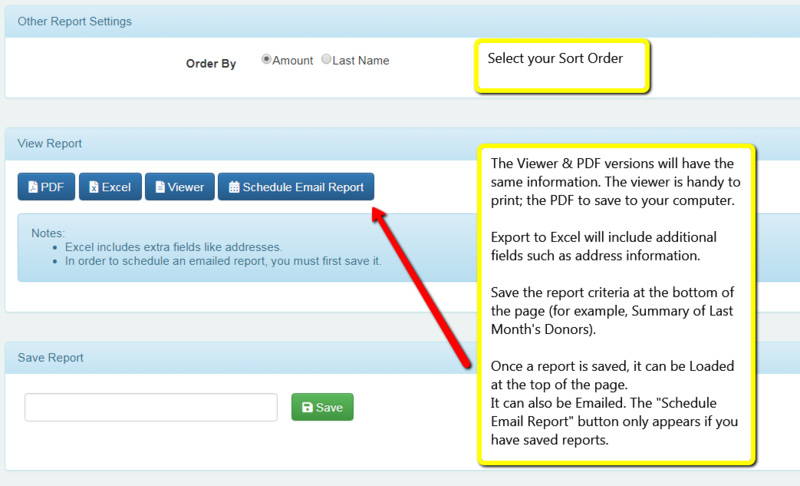 Select you output: Viewer on Screen, Export to PDF to save to your computer, or export an Excel version of the report to include address and additional contact information.